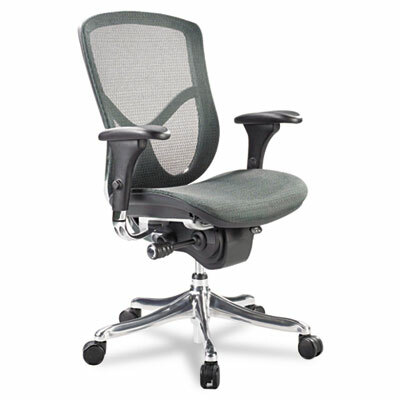 A high-tech aesthetic chair with premium ergonomic features. Synchro-Tilt mechanism offers customized support. Breathable elastic polyester mesh seat and back. Waterfall seat reduces pressure at the back of your knees for improved circulation. Easy reach seat levers for height and back adjustment. Soft arms are adjustable up and down front to back and at angles. Five-star base with casters for easy mobility.